As a continuation of previous discussions in past letters about how we do things different at FCF, I wanted to give one more example of the difference between us and “them”. We recently met at a workshop, some guys who have 50 thousand chickens and are producing eggs for Whole Foods. They use shipping containers that house 5 to 7 thousand laying hens each. These are so heavy they have to have a caterpillar to move them. It seemed cumbersome to me so I asked them how often they are moved and they said “every 2 or 3 weeks if we can.” Our 14 year old here has been doing our layers for 4 years and she moves them every 2 or 3 days, and she only has 150 hens! I bet you can guess which chickens are getting more bugs and grass. All you have to do is crack one of our eggs in a frying pan beside theirs. The yoke color will tell the whole story. The flavor helps the story along, too. Our food is the best dollar you will ever spend. Most bang for your buck. Most nutrients for the penny. Strengths: We had an awesome time discovering our strengths here, with Brad, 2 weeks ago. His seminar was extremely insightful and helpful in many ways. Seeing what you do well is so much more energizing than looking at your faults and trying for improvement. Not that we do not try to work on, or become aware of, our weaker areas but putting too much energy there rather than on what we do well is less productive. I wish we could do this class again but Brad and family are off to South Africa and home. Price Increase: Last reminder that our prices will go up a $1 per gallon of milk January 1st. Cheese and other goods will have a slight adjustment as well. Costs have increased steadily and we MUST adjust up. We will stay on the track we are on of producing the best of the best most nutrient dense foods possible. 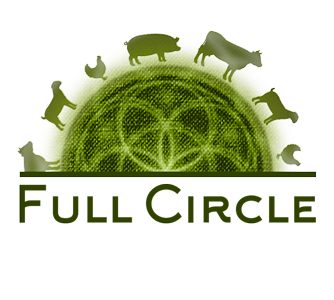 We are a small family farm and this has suited us perfectly for 15 years, now, and we are more committed than ever to our core mission of producing healing foods. Orlando…the possible dream. Ernie who delivered goods to the Orlando area for Steve, www.farmfreshdirect2U.com, for several years still picks up goods here 10 miles from us and goes back to Orlando area. He is willing to come here and get goods for anyone interested, just let us know and we will connect you to him. Satsumas: Satsuma Guy says real pretty fruit coming soon....Will have those e-z peel organic satsuma mandarins in UPS shipable bushel boxes (apprx 55 lbs) and half bushel gift boxes (apprx 28 lbs)... and also quarter bushel mesh bags (apprx 15lbs). 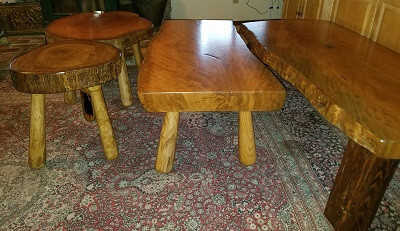 We will start taking orders, starting Monday the 3rd for holiday gifts and good eats.Sorry we had no fruit last year, but Satsuma Guy and Son turned out some handsome heavy live oak stools and coffee tables, check our Elephant Brand link on Full Circle home page.